Examples, videos, worksheets, solutions and activities to help Algebra students learn about factoring trinomials completely using different factoring techniques. The following diagram shows some examples of factoring expressions. Scroll down the page for more examples and solutions of factoring trinomials completely. 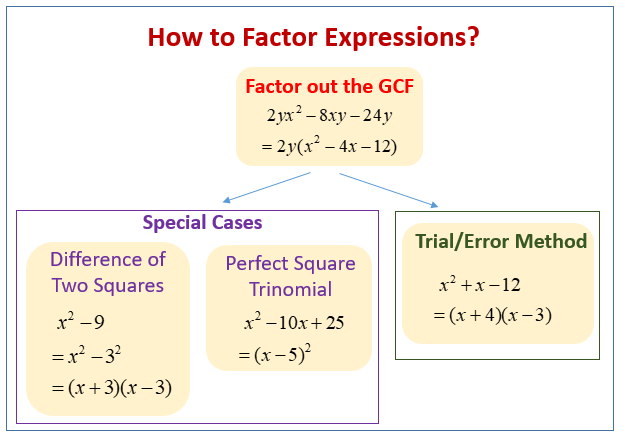 How to choose a factoring method and applying multiple methods to factor polynomials.